Claire has been working as a voiceover artist since 1995. She trained at Warwick University, graduating with a BA Hons in English and Theatre Studies. 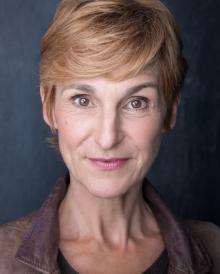 She began her working life in theatre, touring the UK and parts of Europe and discovered the joy of voice acting whilst with the BBC English Repertory Company at the World Service. She then went on to build a business as a voiceover artist, benefiting from her proximity to studios in central London as well as through her own broadcast-quality studio. Her work includes Radio and TV commercials, Corporate and Documentary Narration, On-line Sales Presentations and Explainers, E-learning , IVR and On-Hold. Whilst her own native RP is ideal for many commercial and corporate projects, her acting background means she can deliver a wide range of styles and characterisations in a variety of accents, if required. She is also able to deliver pretty speedy reads, enough to have earned the nickname 'Pacey Lacey' in some circles! Her vocal age range is from early thirties to over sixties.